NOTE: The American Museum of Science and Energy will be closing July 29th temporarily and reopening at their new location in the fall. Department of Energy bus tours will continue to operate as usual. For more information please visit the AMSE website. For STEM teachers searching for inspiring science field trips, The American Museum of Science & Energy (AMSE) offers innovative learning opportunities that students won’t forget. As one of the best science museums in the southeast, AMSE’s diverse exhibits show how STEM education is applied in real-world settings and how watershed moments in history often involve scientific breakthroughs. 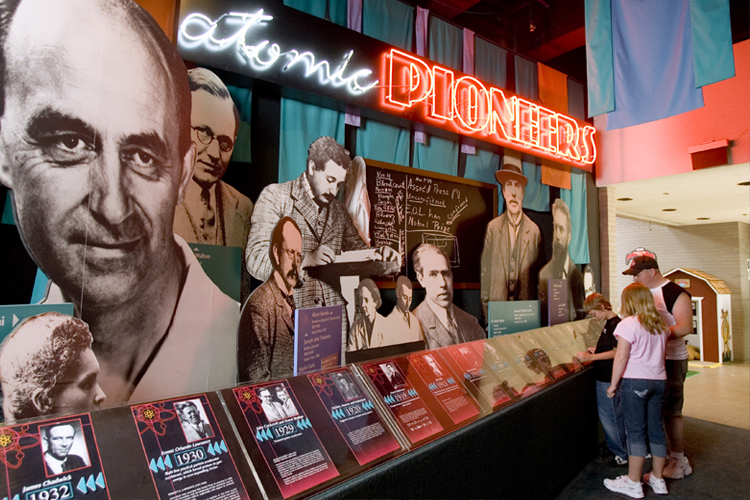 Explore the science behind light, color, sound, electricity, weapons, robotics, atoms, and much more through the science museum’s permanent exhibits. During your visit to AMSE, be sure to catch one of the daily demonstrations of the Van de Graaff generator. It’s guaranteed to be a hair-raising experience that your family or students will always remember.